Dark Blonde Color 18 Clip In Hair Extensions of Euro Collection Luxury Cuticle Hair is made to perfectly match most European hair texture! 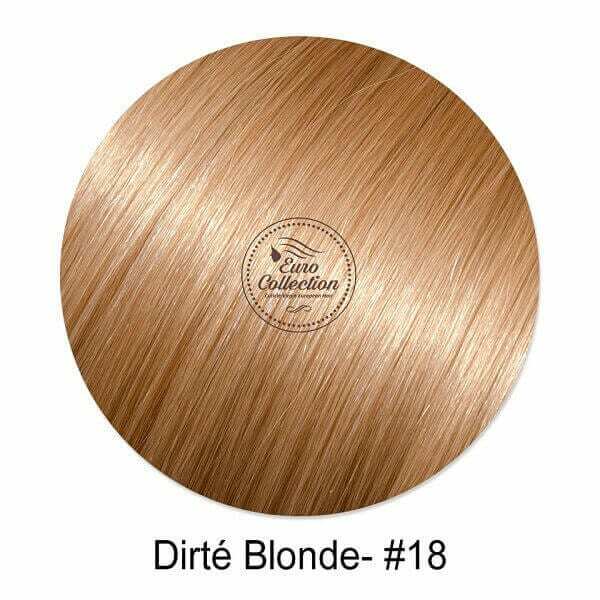 The Dirté Blonde color mimics the natural color of the dark blonde/ dirty blonde Clip-In Hair Extensions. Euro Collection Luxury Cuticle Clip-in Hair Extensions is suitable for normal to thick hair. Get instant volume you always ever wanted and glamorous using our clip-in hair. Our weft lay flat on the clip to give you a very natural finish. The product of 100% Remy Cuticle Human Hair. You can reuse this for long period, up to a year or more depending on how well you care for them and how often you use them. Just like your natural hair, blow-dried, flat-ironed, curled, and styled with hot styling tools. . The Dirté Blonde – #18 Dark Blonde Clip-In Hair Extensions of Euro Collection hair is made with a multi-tone adapt coloring system. This ensures that the extensions perfectly blend with your own hair, even if your hair is slightly different than the extensions. 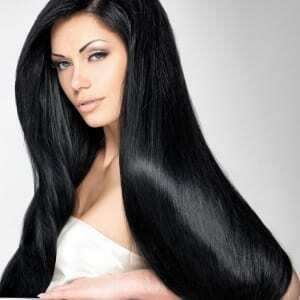 I have always looked for the perfect clip-in hair extension which fits naturally with my dark blonde hair. 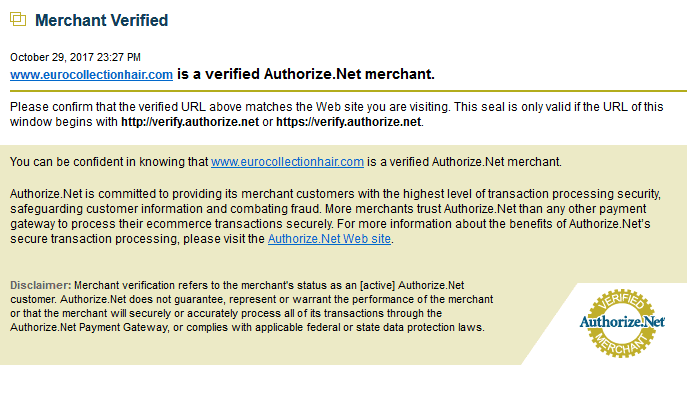 So I stumbled on this hair extension on eurocollectionhair.com and had to give it a try. To my surprise, it was worth more than the price. The Dark Blond hair extensions blends naturally with my dirty blond hair and additionally fits perfectly with the thickness of my hair. My hair is thinner, so I ordered 2 sets of 10 clips ensures that the hair extensions cover my hair fully and gave me some length as well. Thanks to Dark Blond Clip-in hair extension, now I can walk with my heads high on the streets without any feeling of intimidation and self-consciousness due to my thinner hair. Okay, I am writing this review as an update. I actually purchased this clip-in two weeks ago, but I did not write any review. I was styling my hair earlier and remembered to leave a review. The reason why I decided to write a review after two weeks is because I am impressed with the clip-ins I bought. I bought two sets of clip-ins and it looks great with my own hair. I had never worn clip-ins before, so I decided to give it a try. These clip-ins do not damage the hair. It’s easy to put in. Even after two weeks, the quality of the clip-ins is still the same as when I first open the package. I even curled it on the first day and straightened the clip-ins on the third day. The clip-ins were not damage of the different styling I did to my hair. I highly recommend these clip-ins to anyone looking for a good quality clip-in extension. “I recently bought these dark blonde extensions and I must say that it is pretty good. I have always been picky with my extensions and I am only looking for top quality. I have spent hundreds of dollars on various sets but I was never satisfied. This is by far my favorite. The best part is that it’s accompanied with an amazing prize. I can either go long or short with my hair but I will still have good hair days. It is very luscious and looks authentic. I even tried curling them and it worked, held curls pretty well. The color blends well with my hair. It looks great and easy to put in. 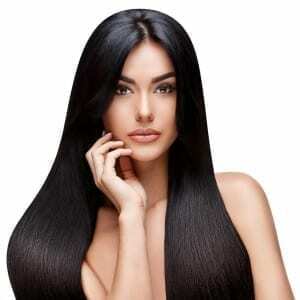 I have been buying real and even synthetic extensions for so many years and these extensions are some of the best I have found online. I’m happy that it is worth my money, I’ll try buying another set of a different color when I dye my hair again.